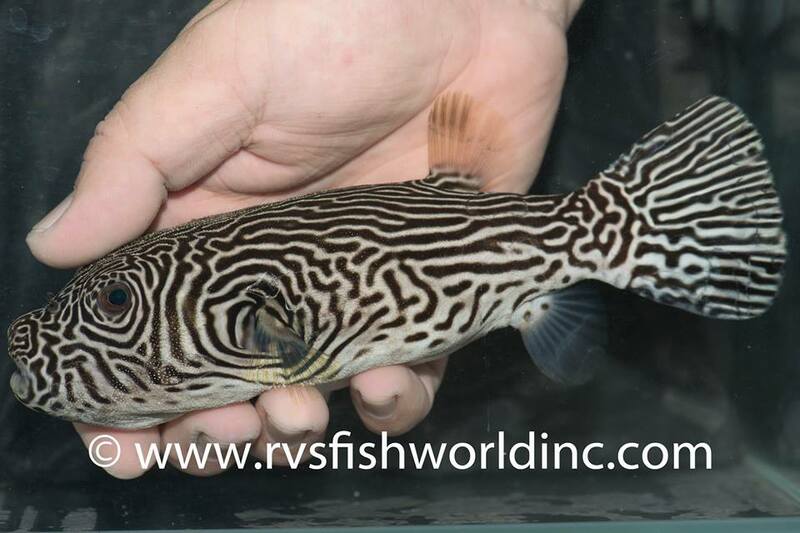 One of the most mysterious and infrequently seen species of large, tropical pufferfish—Arothron multilineatus—was recently collected for the aquarium trade. 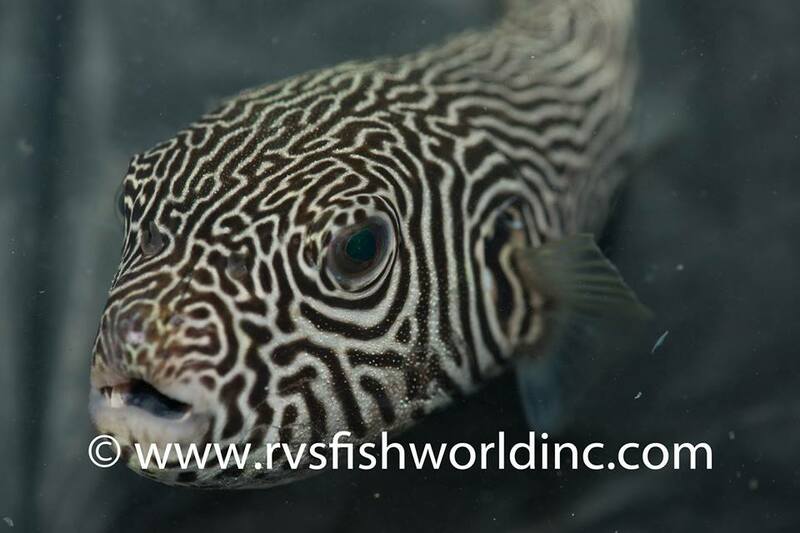 There’s a good chance that this species, which was described only in March of this year, has never been kept in captivity before, and, with only around a half-dozen specimens having ever been documented, this is undoubtedly one of the rarest fishes in the pufferfish family. This specimen was collected in the Philippines at Pagbilao, Quezon Province at a depth of 15-20 meters. 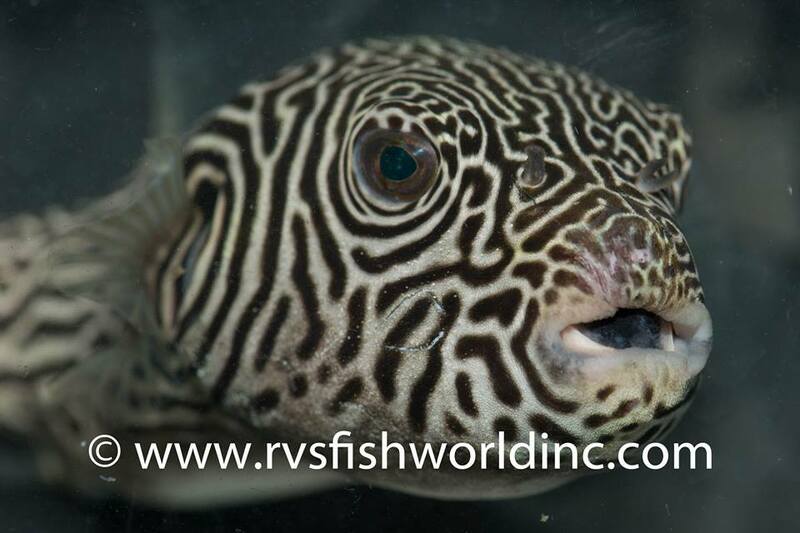 Barnett Shutman of RVS Fishworld reports that this is the only specimen he has seen in his thirty years of experience, emphasizing just how unusual this find was. 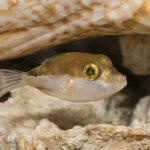 It eventually found its way to New York’s Country Critters, where it’s been sold to a well-known aquarist with a very large tank. 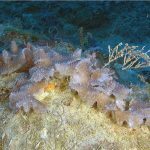 Previous records were exclusively from Japan and the Red Sea, making this new specimen an important find that expands the known range into the Coral Triangle. But many questions remain, particularly concerning why it is so rare in the first place. In my earlier discussion of A. multilineatus, I put forth the hypothesis that this enigmatic species is actually nothing more than an unusually patterned hybrid. 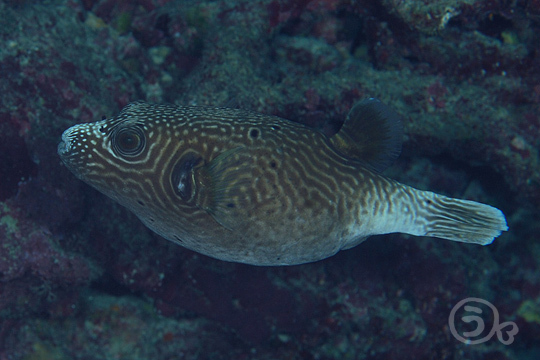 Arothron pufferfishes are, after all, quite abundant in their natural habitat, and they tend to be among the most photographed of shallow-water tropical marine fishes, so it seems fairly implausible that an organism as large and charismatic as the Multilined Pufferfish could conceal its existence so well. The same holds true for another rarely encountered relative, A. carduus, which is essentially identical in appearance to A. multilineatus and is known from even fewer specimens… one of which is a lamp shade from the curio trade! The alleged difference between the two is that A. carduus has black lines on a white body, while A. multilineatus has the reverse. That being the case, one could make the argument that the specimen shown here is actually A. carduus, but the distinction between these two poorly known “species” is dubious at best. In fact, traits of both patterns can perhaps be seen in this one individual, with the dark pattern of A. multilineatus found on the head and the light pattern of A. carduus present posteriorly. Until genetic sequencing can be done on a specimen, there is every reason to doubt whether either of these taxa represent anything more than aberrant or hybrid phenotypes. 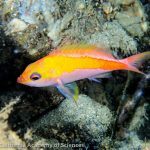 The most likely parentage, given the existence of this fish in the Red Sea, would be A. hispidus X A. stellatus, though the specimen shown below might offer a different explanation, as it appears to be a A. nigropunctatus X A. multilineatus. It might also be equally plausible that the wavy lines that make A. multilineatus and A. carduus so distinctive are really nothing more than a particularly attractive mutation. Hopefully, more specimens will eventually be found so that a definitive answer can be determined. 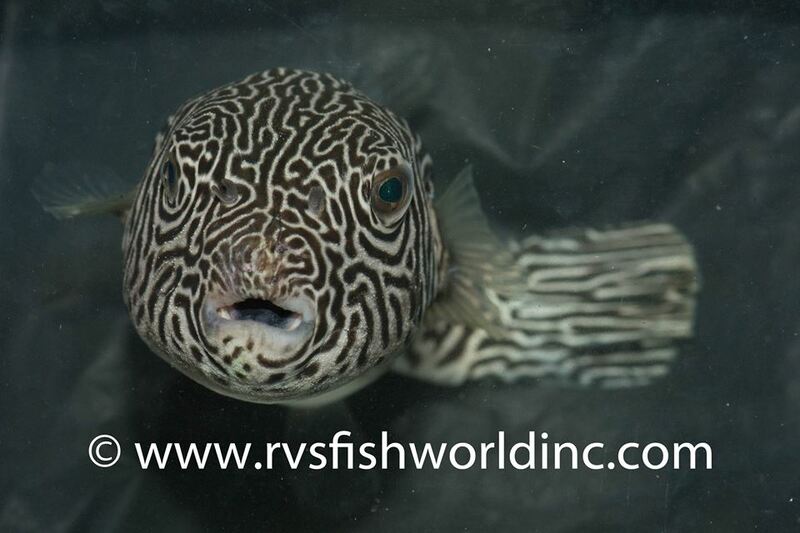 The aquarium trade is one of the worst hobby suppliers in the world. Denigrating tropical reefs wherever they are. It is high time trading in tropical fish was banned. If the reefs are dying due to “climate change” this could be veiwed as preserving nature. I keep seeing posts that say bangi cardinals are becoming scarce, the breed like rats in captivity. 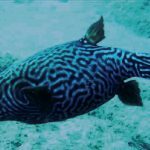 Very few reef fish ‘breed like rats in captivity’ The average home marine aquarium keeper is completely useless. 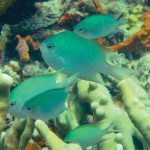 I was part of a study following marine fish captured on the reef to the aquarium store and onto the home aquarium owner, 75% of the fish were dead within 6 months of them being taken from the reef. another 20% died within a year. The home aquarium trade is extremely lucrative for the aquarium trader as home owners are constantly replacing the fish that die.